Traditional Japanese handcrafts are really great! From the hand painted lacquerware to kiriko (Japanese cut glass) to indigo products you can really find something for everybody. As a fan for fashion and fabrics one of my favorite handcrafts is Furoshiki. A Furoshiki is usually a square sized piece of cloth, which was used in old days as a wraping for gifts, clothes or to transport something. 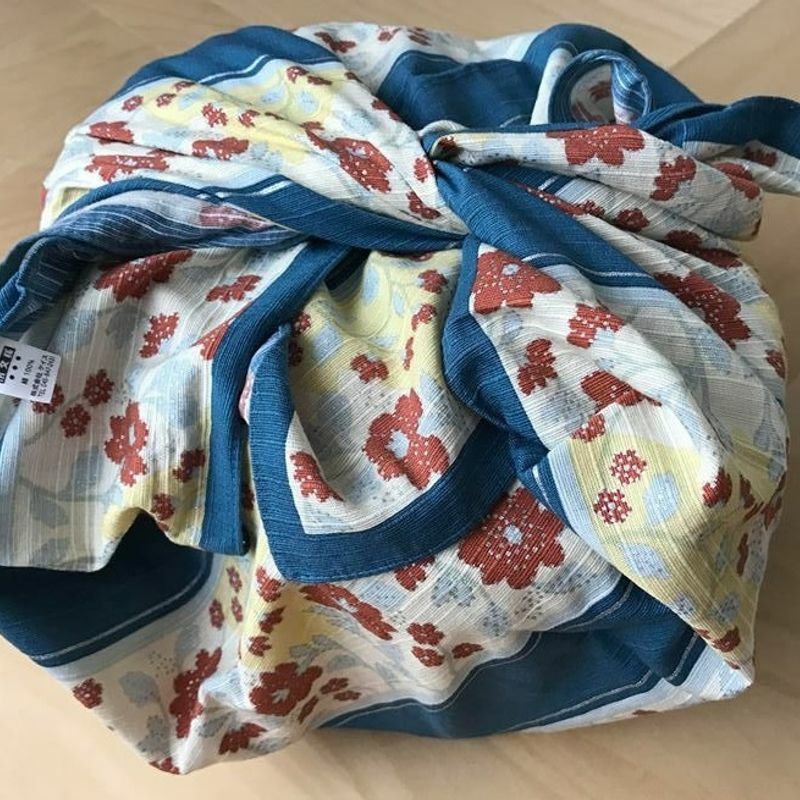 In old times, when people took a bath at an onsen or a public bath house (sento), they often used a Furoshiki to stow and transport their clothes. Traditionally Furoshiki is made of chirimen fabric also called silk crepe. 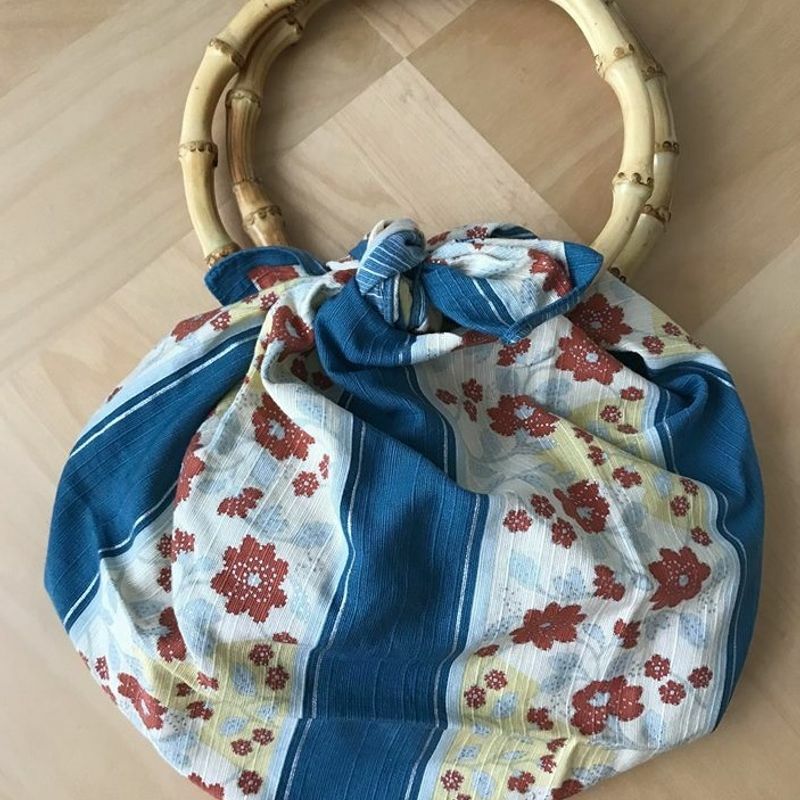 The fabric is made in a special weaving technique that originated in the 16th century, but nowadays other materials like cotton or even plastic is used for Furoshiki. Typical patterns are very traditional style in darker (mostly gray/blue) colors or with many flowers, but these days you can also find bigger motive in the middles only. 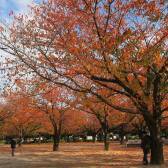 My favorite is the seasonal Furoshiki in the design of cherry blossom or the autumn foliage. 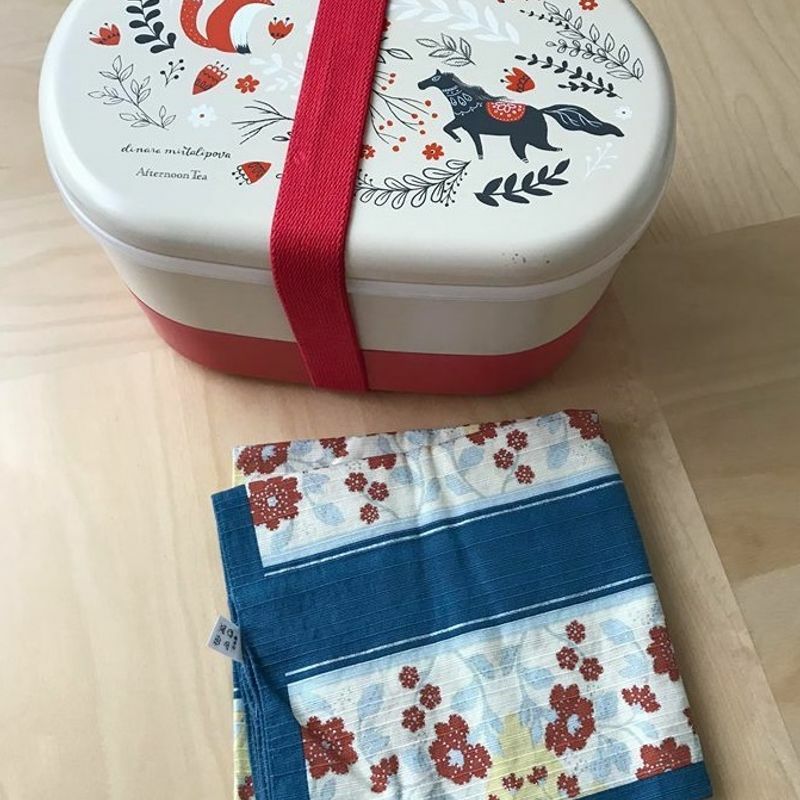 Nowadays the cloth is often used as a wrapping for the bento box, which can be used as tablecloth or for just sitting on it. Before the year 2000, the use of Furoshiki fell sharply, but since many designers use it for traditional bags, it has become popular again. The most important thing about Furoshiki is to know how to fold and tie a Furoshiki. The secret is the right folding technique and how to make a beautiful knot. You can find many knotting instructions at the internet, which can be easily used after a little bit of practicing. I use Furoshiki often as a back. Together with two bamboo rings it is easy to wrapped the piece of cloth around the rings and use it as a bag, which can even carry heavy stuff. Also as a wrapping for presents, when I´m sending something to my friends in Germany, it is very helpful and looks so good. My friends are always very happy about getting those.